From Saxon times, Dover has had a formal judicial system and until 1835, the Mayor headed it. He was supported by elected Jurats whose role included that of Justices of the Peace. 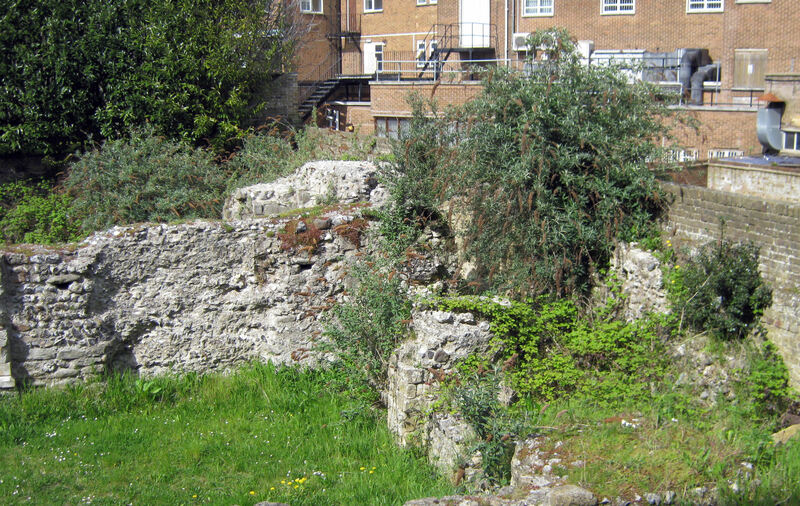 Up until the Reformation, the Corporation paid Dover Priory 4s (20p) a year to hold their Court in what had been the grounds of St Martin-le-Grand, probably on the corner of present day Bench Street and Queen Street. For legal advice, the Mayor would look to his Bailiff, a Freeman nominated by the Sovereign. As the law became more complex, Barristers-at-Law were appointed as ‘Counsel with e Corporation and the assistant of the Mayor and Jurats at Sessions and Trials.’ They were given the title Recorder and chosen by the Mayor, Jurats and Common Council. When there were no prisoners facing trial the Recorder presented the Mayor with a pair of white gloves. 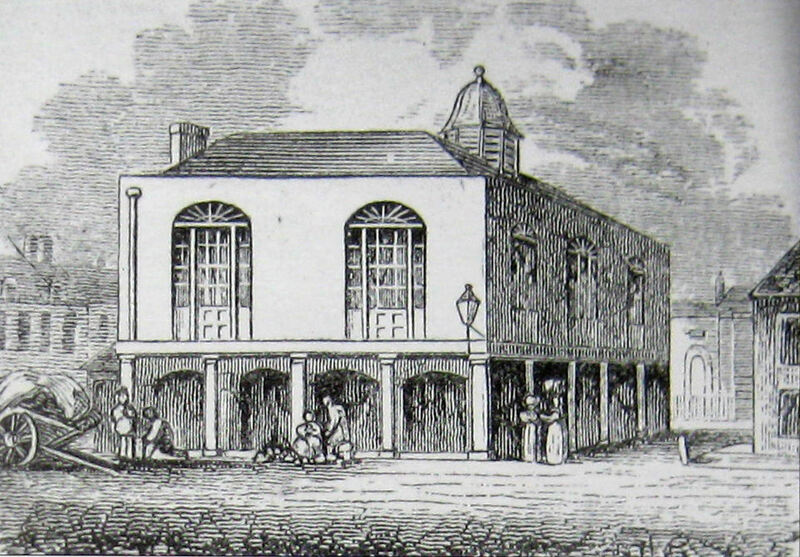 From about, 1479 there had been talk of having a purpose built Court Hall in the centre of town but it was not until 6 July 1605 that a new Town Hall was commissioned. This was in the Market Square and within it, courts were held. Over the next 200 years there were sixteen Recorders including the Yorke dynasty. Philip Yorke was appointed Recorder on 3 October 1718 and eventually became the Lord Chancellor given the title Earl of Hardwicke but retained his role as Dover’s Recorder. On the Earl’s death in 1764, his son Charles was appointed Dover Recorder and he too became Lord Chancellor. Prior to the Municipal Corporations (Reform) Act of 1835 a Royal Commission reported that Dover General Sessions met every four months and had jurisdiction over capital and county court offences. However, on occasions there were lapses of up to fifteen months when prisoners were held without trial. The Mayor and Jurats were the judges and they chose the juries. The Recorder always attended ensuring that the trials followed legal precedent but he also acted on behalf of the prosecution. He was paid 40s (£2) a year as Corporation counsel and 40s (£2) a year for assisting at every Session. When the Act came into force, the trial of capital offenders was transferred to the County Assizes at Maidstone and the Recorder presided at the Borough Quarter Sessions instead of the Mayor. The ancient presentation of the white gloves continued when there were no prisoners awaiting trial, but now it was the Recorder who received them. At the same time another ancient tradition was given to the Recorder, that of carrying of a posy on official occasions – this was believed to ward off the smell of the prisoners! 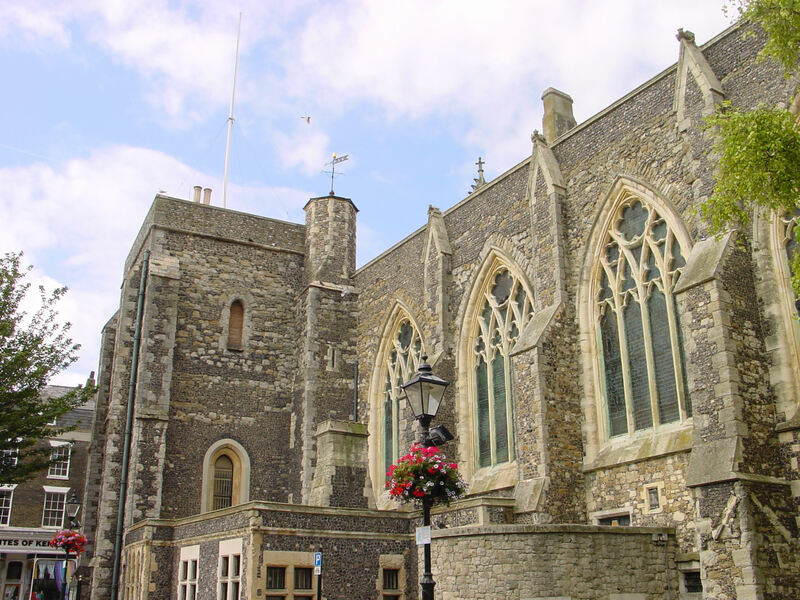 In 1834, Dover Corporation purchased the Maison Dieu for use as a Town Hall and the Court moved into the ancient Chapel of St Mary, within the Maison Dieu. The subsequent conversion into a court led to a public outcry so the Chapel cross was left on an outside gable end. William Henry Bodkin, the first of the Bodkin dynasty, was elected Recorder on 15 November 1834 and was the new court was first used for the Quarter sessions on 16 February 1836. Knighted in 1867, Sir William remained Dover’s Recorder until he resigned the office on 15 January 1874. He was superseded by his nephew, Harry Bodkin Poland whose appointment was the first by the Crown not the town. Sir Harry presented the council with the Mayor’s jewelled badge still worn today. As part of the Connaught Hall complex a purpose built Court, designed by William Burges, opened in July 1883. The ceiling is richly decorated while the furnishings are of stout oak and functional. 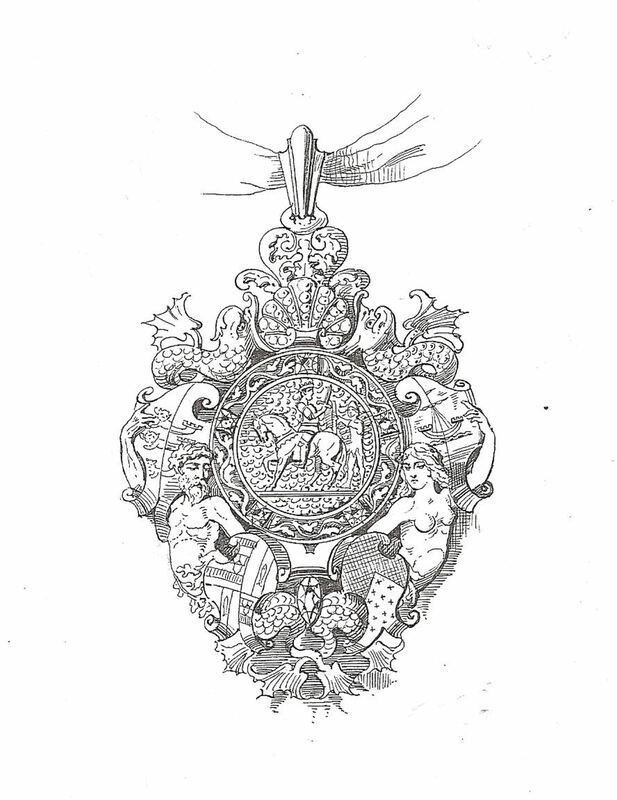 Sir Harry was knighted in 1895 and on his resignation, 24 July 1901; he presented the town with the Dover Jewel these days worn by the Mayor on semi-official occasions. Sir Harry died on 23 February 1928, age 98 and was the oldest member of the Bar. The third and final member of the Bodkin dynasty was Archibald Bodkin. Knighted in 1917 he resigned in 1920 when appointed Director of Public Prosecutions. The following year created an Honorary Freeman of the town and at the Honorary Freemen installation held on 27 February 1924, he presented the town a Georgian silver loving cup as a memento of his services as Recorder. In 1920, the position of Recorder was given to G Thorn Drury and the first Quarter Sessions he held in Dover was notable for the appearance of women as jurors. He remained until his sudden death on 14 January 1931. About the same time, Sir Archibald retired from the post of Public Prosecutor and returned to become Dover’s Recorder. This was the first instance, since 1660, of a Recorder being appointed a second time. On 5 December 1933, in celebration of the centenary of his family’s association with the Recordership of Dover, Sir Archibald presented the town with the valuable chain and badge for the Mayoress. In January 1946 Barrister, Miss Dorothy Knight Dix, was appointed deputy Recorder of Deal. At the Dover July Quarter Sessions, she stood in for Sir Archibald who was ill. This made legal history for it was the first time a woman had the power to sum up a jury and send a criminal to penal servitude for life. 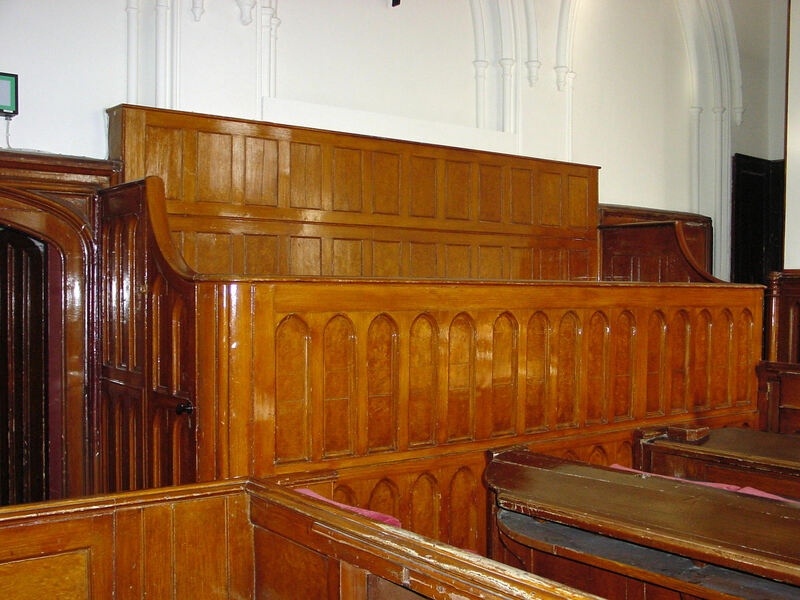 However, some saw the collapse of the courtroom ceiling that month as bad omen. Sir Archibald retired in 1947, age 85, and was succeeded by Montague Lavender Berryman. Lord Robert Oldfield Havers, known as Michael and the father of the actor Nigel Havers, held the appointment from 1962 to 1968. He was followed by John Huxley Buzzard who in 1963 had been the prosecutor in a minor shooting case. The incident had taken place in London between two men who were involved with a prostitute, Christine Keeler. Soon the public were informed that she also had been involved with a Russian, Yevgeny Ivanov and Cabinet Minister, John Profumo. The scandal, involving Lord Astor, resulted in the resignation of John Profumo and weakened the Conservative government. November 1971 saw the end of Dover’s Quarter Sessions and Recorder John Buzzard’s last case concerned an 18year-old who had stolen two pairs of sandals worth £2.50. The defendant pleaded guilty and was given a conditional discharge. In December 1973, John Buzzard was appointed circuit judge but on the 30 January 1974, he opened what turned out to be a letter bomb and lost the tips of two fingers as well as sustaining cuts. Later that year Judge Buzzard was appointed town’s Honorary Recorder by the Charter Trustees a position he held until he died in 1982. This entry was posted in Courts, Crime & Punishment, Dover's Recorders, Maison Dieu - Former Town Hall, Recorders. Bookmark the permalink.